An adverb clause is a group of words that function as an adverb in a sentence. The clause can modify or describe verbs, adverbs, and adjectives. In general, adverb clauses add information that elaborates on when, where, why, how, how much or under what condition the action in the sentence takes place. An adverb clause isn't just any group of words, however. A clause must contain a subject and a verb to be complete. An adverb clause also begins with a subordinating conjunction, such as "after," "if," "because" and "although." If you see a group of words in a sentence that acts like an adverb but does not have both a subject and a verb, it's an adverb phrase. 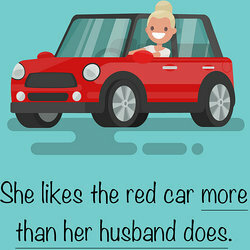 Using an adverb clause in your sentence is a good way to add important, descriptive detail and information to your writing. They are flexible and can be placed at the beginning, middle or end of a sentence, depending on where it sounds best. If you pay your bills on time, you can have a good credit score. Unless you run fast, you will miss the bus. Because he loved her, he didn't believe she was having an affair. Once they saw the car coming, the birds flew away from the road. Although she has a business degree, she is working as a retail clerk. As we bought the tickets, the overture was beginning. Since I'll be working late, I'll eat downtown. Now that everyone has left the party, we need to start cleaning. Unless you put in more hours, I cannot recommend you for the promotion. As soon as I saw you, I knew something was wrong. My sister, when she is angry, will turn red in the face. Elephants, although they are large, are not predators. Chocolate, because it has a low melting point, can be difficult to bake with. He remembered, after he left the house, that he needed to mail the thank you cards. Marty kept his schedule open in case his wife went into labor. You must keep practicing the song until you get it right. Give us a call when you get back from your trip. We need to find the bar where they asked us to wait. The fireworks show will start after the sun goes down. The cat made herself at home in the apartment as if she had always lived there. Frank ran the race as though his life depended on it. We can swim in the pool as soon as you put on sunscreen. I never knew how wonderful life could be until I met you. You need to remain calm even if everyone else panics. The day felt long because we had nothing to do. I won't allow you to see that movie even though you are old enough to go. We can get some new clothes as long as the store is open late. Remember, if you're uncertain whether a group of words is an adverb clause, check for a subject and a verb. If it has both of these parts of a sentence, and answers the question how, why, when or where, it's an adverb clause. Adverb clauses, when used properly, improve your writing by adding more detail and making your work as useful and informative as possible. To understand the difference between an adverb clause and adverb phrase take a look at our adverb phrase examples. "Examples of Adverb Clauses." YourDictionary, n.d. Web. 18 April 2019. <https://examples.yourdictionary.com/examples-of-adverb-clauses.html>. An adverb clause is a group of words that function as an adverb in a sentence. The clause can modify or describe verbs, adverbs, and adjectives. In general, adverb clauses add information that elaborates on when, where, why, how, how much or under what condition the action in the sentence takes place. An adverb clause isn't just any group of words, however. A clause must contain a subject and a verb to be complete. An adverb clause also begins with a subordinating conjunction, such as "after," "if," "because" and "although." If you see a group of words in a sentence that acts like an adverb but does not have both a subject and a verb, it's an adverb phrase.